The grim and dark wars of the 41st millennium are coming to a battlefield near you, as Warhammer 40,000’s Imperial Guard respray a couple of vehicles from World of Tanks. For more fun for less money, check out the best free games on PC. Two specific Imperial Guard regiments have had the honour of redecorating some of Wargaming’s vehicles. 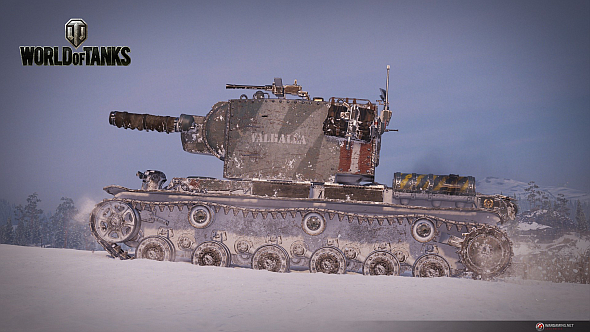 The stoic Ice Warriors of Valhalla have customised the KV-2 (R) with the Valhallan Ragnarok camo style, and if your collection is missing the legendary vehicle, you can grab it and the camo in one bundle. Elsewhere, that’s the BDR G1 B sporting ‘Mordian style’ by up-and-coming painters the Mordian Iron Guard. If you fancy sporting this fashion, you’ll need to wreak some havoc to unlock the vehicle before you can then obtain and apply the skin. Frankly, after all the ludicrous crossovers World of Tanks has explored before, we’re staggered this hasn’t happened already; Warhammer 40,000 and its many passionate fans have been putting out gorgeously painted tank models for literally decades now. It’s a shame that we’ll probably never see a Leman Russ or a Landraider in World of Tanks – stupid historical accuracy – but reskinning existing tanks is the next best thing. 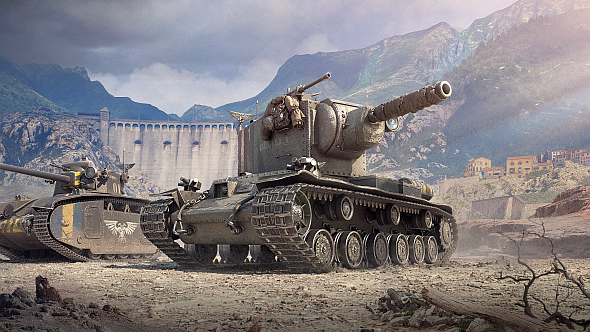 Check out the trailer above for a look at the skins in action, or head over here to get involved in our Warhammer 40,000 World of Tanks skins giveaway.